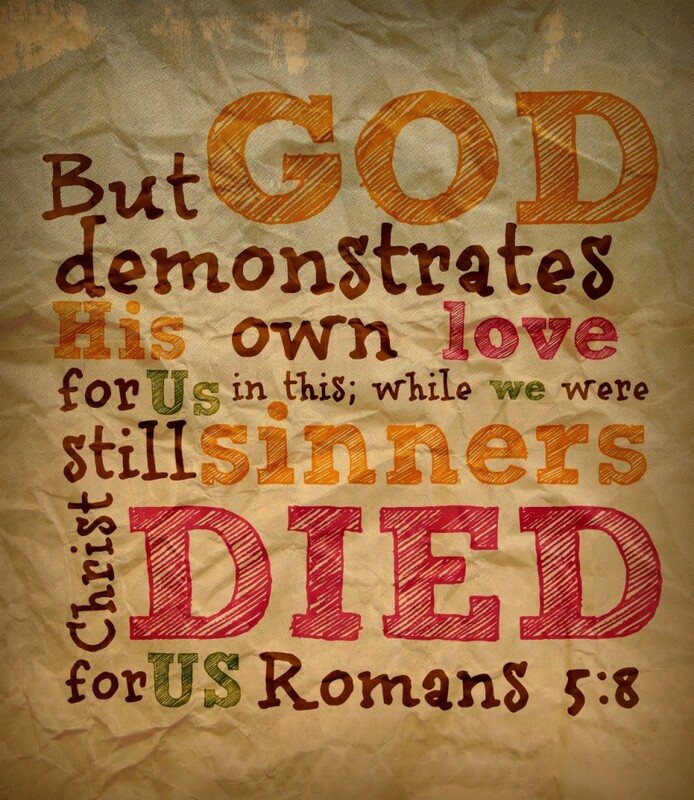 One of my favorite and, honestly, most amazing verses in all of the Bible is Romans 5:8. It’a amazing to me, because it stands in stark contrast to how the world generally works. Because, generally speaking, the way the world works is that once you have done enough to earn my love, then I will give it to you. Once you have treated me kindly enough and loved me deeply enough, then I’ll love you. When you’ve done enough for me to merit my love, then you’ll get it. When you’re a cool enough and fun enough person to be around, I’ll be around you. Basically, at whatever point I decide you have done enough, then (and only then) will you get my love. But God works in an entirely different way. Because God loved us before we could have done anything to earn that love. God loved us before we existed. God loved us before we were cool enough or fun enough to be one of His people. God loved us before there was a good deed attached to our name. For all of us, this verse is true. There is not a single person among us that weren’t in a state of being a sinner when Christ loved us and died for us. Not me, not you, not anyone. For every single person who has ever existed, God loved them first. We don’t start by loving God and then when we have loved Him enough – He finally sends some of His love our way. No, He has loved us all along. He has loved us in the best of times and in the worst of times. He has loved us when we were trying to be good an failing. He has loved us when we were trying to be bad and succeeding. God has loved us all this time. And it wasn’t an emotional, unstable love that changes based on circumstances. It wasn’t a loved based on feeling. It wasn’t conditional in any way. It was a covenantal love. It’s not contractual. A contractual love says I have to do X to receive Y. And When I stop doing X, I stop receiving Y. But God doesn’t work that way. God’s love with us is in the form of a covenant – a promise. And God cannot break His promises. God loves you, regardless of what you’ve done or what you do. God loves you because that’s who He is. You are more loved than you could ever know.